Welcome to How Peter Plans To Hit A Triple Bodyweight Trap Bar Deadlift! 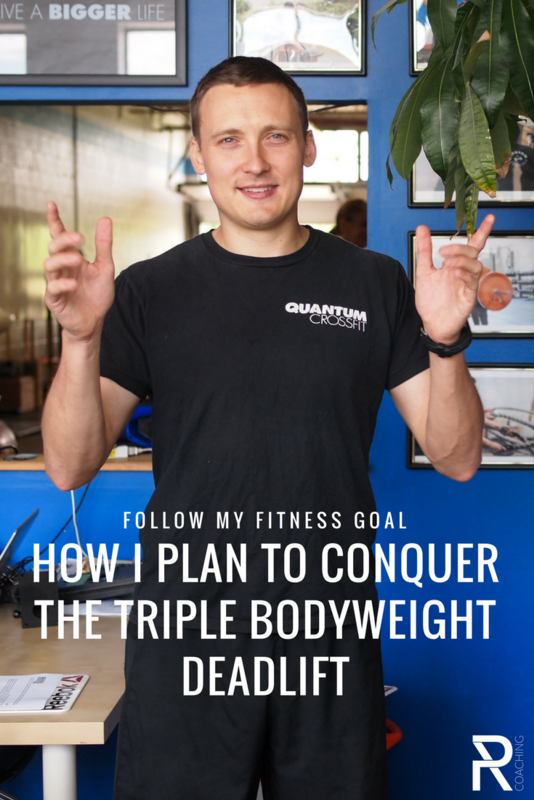 This is the first episode in a series in which I'll be sharing my quest to conquer a personal training goal. I'll be posting weekly updates to my Youtube Account (so go and subscribe!) and to Facebook (make sure that you're following!). I'llalso be posting a round up of each training phase here on the blog. Why Create a deadlift training plan? Why do Trap Bar Deadlifts? First, trap bar deadlifts puts a little less strain on the back and require a bit less range of motion than a tradition deadlift. To pull from the floor with perfect form, I personally need to spend some major time warm-up to loosed my posterior chain. Otherwise I can't pass this crucial mobility test that's essential to deadlifting safely. Longevity in fitness and not getting injured. Being able to do my workouts in a compressed time frame... I'm too busy with helping all of you work out and eat better to spend hours every day doing my own program! That makes setting a goal using the trap bar deadlift a great fit for me. The second, and more interesting reason I've set this particular goal, is that according to strength and speed coach Ryan Flaherty (you might have heard him on the Tim Ferris podcast), your trap bar deadlift divided by your bodyweight - something he calls your 'force number', is the most important aspect to your ability to develop speed. According to Flaherty, a 3.2x BW lift is sufficient to run about a 4.5-sec 40-yard time. As you may know, I don't seriously compete in any events anymore. But, I like the feeling of being 'fast' (which is all relative I guess, I'm definitely not anywhere close to having elite levels of speed). Plus, speed is one of the most important fitness attributes for the sports that I still enjoy recreationally, like soccer and touch football. Going fast is also just plain fun... So that's what I'm prioritising training for. Here's my challenge: Hit a 3x body-weight trap bar deadlift. It's a little closer to my reach than a 3.2x body-weight lift, and it's a nice round number. I don't have a timeline attached to this goal because I learned long ago that these things just take as long as they take. To push a timeline agenda is to increase the risk of injury, and nobody has time for that! I am committed to my goal, and I know it's doable. Just to be clear, when I achieve this deadlift I don't expect to be able to run anything close to a 4.5s 40-yard sprint. I know there're plenty of other training and technique that goes into that kind of performance. For fun, I am going to try to test my 40-yard dash at the end, although I'm not sure how much we'll be able to extrapolate from that. Aside from having a new challenge to shoot for, I'm going to track my process of my deadlift training plan so we can all learn some lessons along the way. We'll find out what works, what doesn't, and what adjustments are needed in my case to achieve the goal. My training for the last months has been about improving structural balance. My feet were too weak, my glutes were relatively weak and out of balance with my other lower body muscles, so were my left obliques, and my posture was a bit off. Those things aren't all perfect, but they're much better. It's important to know that I'm going into this new training phase with a healthy, balance body. I took the time up front to ensure that all systems are go for pushing for a training goal that's going to put some strain on my body. 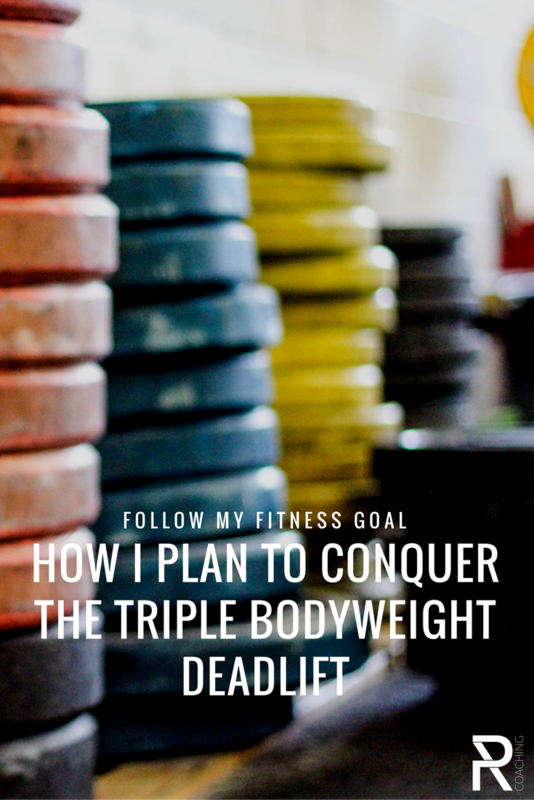 It's also worth noting that aside from maintaining balance and general fitness, I don't have any other specific, high priority goals aside from the 3x body-weight deadlift. So, unlike most other athletes, I can focus on one goal, instead of dividing my training time and recovery ability on multiple different objectives. I think this will be a big advantage.